Unfortunately it’s that time of year for flu season! I have to say though the flu rarely hits this house. I’m thankful for our strong immune systems. That does not mean my kids get fevers every now and then. Mostly due to teething. My kids would always spike a 102 fever when teething. It’s well equipt enough to take your child’s temperature in a second and has multiple uses such as your child’s ear, test the temperature of your child’s food and yes..can be used to check the temperature of bath water! Just simply change the functions so the thermometer does not confuse your child for bath water or food temps. What I love, especially at night when I’m half asleep and it’s dark is the thermometers ability to speak the results to you. I can’t tell you how many times I’ve had to lug my sick child where there was light just so I can get a reading. Not only does it speak to you, there is a clear ring around the center button that will turn green if your child is in range or red if your child has a fever. 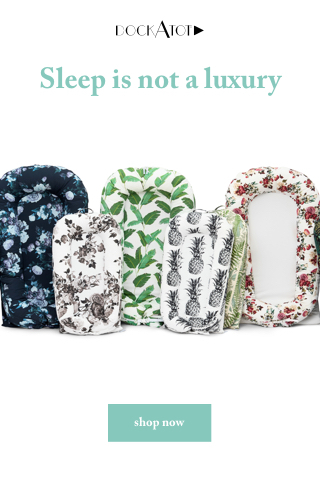 Also great for night time! There are lots of other cool options such as displaying the time and date and battery life. You also have the option to turn the talking off and change language preferences. 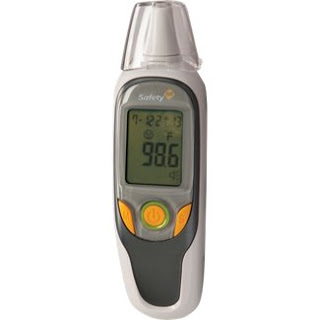 This is a really neat thermometer and highly recommend it to family and friends!